Is Your Front Crawl Timing and Coordination Letting You Down? Front crawl timing is the result of your legs, arms and breathing in perfect harmony and this usually occurs naturally. Arms should provide a continuous power and propulsive alternating action whilst leg kicks also remain continuous and alternating. When we talk about timing, we usually refer to the number of leg kicks per arm pull cycle. In other words, how many times or legs kick in the time it takes for our arms to complete one arm pull cycle. Instantly download all the exercises, technique tips and coaching points you will need to fine-tune your front crawl. Click here to fast track. Which Timing Pattern Works For You? Some timing patterns will suit some swimmers better than others. Much will depend on an individuals levels of coordination. Where one 'beat' refers to one leg kick. Each leg kicks three down kicks per single arm pull, resulting in six kicks per arm cycle. This timing pattern is normally taught to beginners as it comes most naturally. It is also used for sprint swims. Each leg kicks down twice for each arm pull, resulting in four leg kicks per arm pull cycle. Not very common but works for some. Each leg kicks down once per arm pull, resulting in two kick per arm pull cycle. This timing cycle is normally used by long distance swimmers, where the leg kick acts as a counter balance instead of a source of propulsion. This is not recommended for beginners. Although the two-beat cycle is not recommended for beginners, some adults learning to swim may find this less tiring and the coordination easier. Do You Make These Front Crawl Timing Mistakes? These various timing and coordination cycles bring varying degrees of mistakes, the most common being an attempt to kick too fast. The required speed of the leg kick and therefore the timing cycle required for the stroke depends on the distance that is to be swum. A long distance swim requires the leg kick to counter balance the arm action, so the two beat cycle is best used. The short sprint requires a faster leg kick so the six beat cycle is needed so that the legs can provide more propulsion. It is easy to kick with a fast leg kick and unknowingly allow the arm action to also speed up. 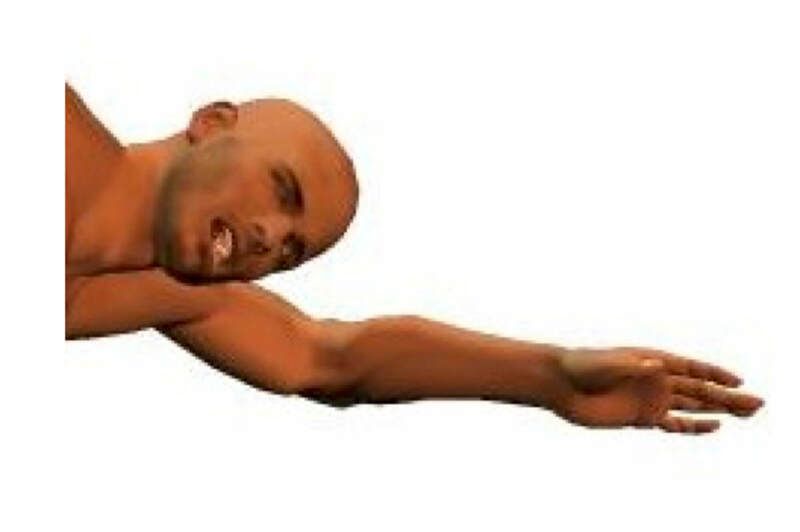 This results in a loss of arm technique and overall body shape leading to a poor and inefficient swimming stroke. 'Catch up' is the best swimming exercise to not only establish correct timing and coordination cycle but to experiment with different timing cycles as the delayed arm action slows down the exercise. 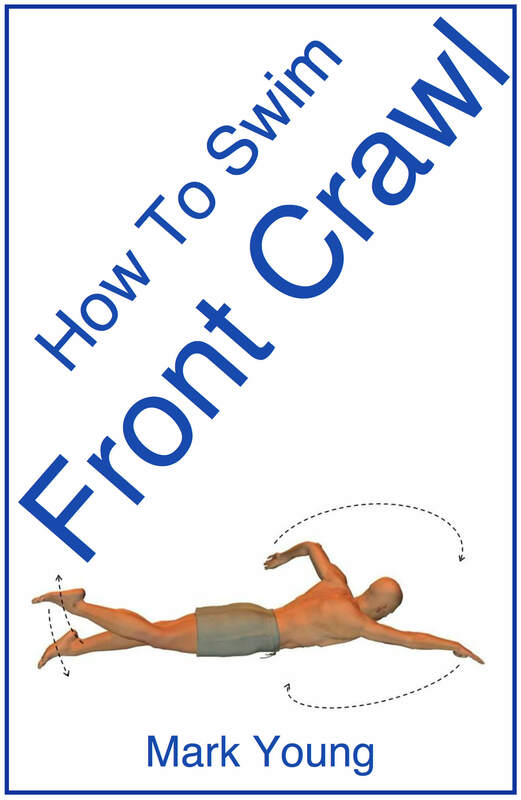 Download this document to your computer, tablet or mobile device and fine-tune your front crawl timing. Test your leg kick and arm pulls together along with the key technique tips. 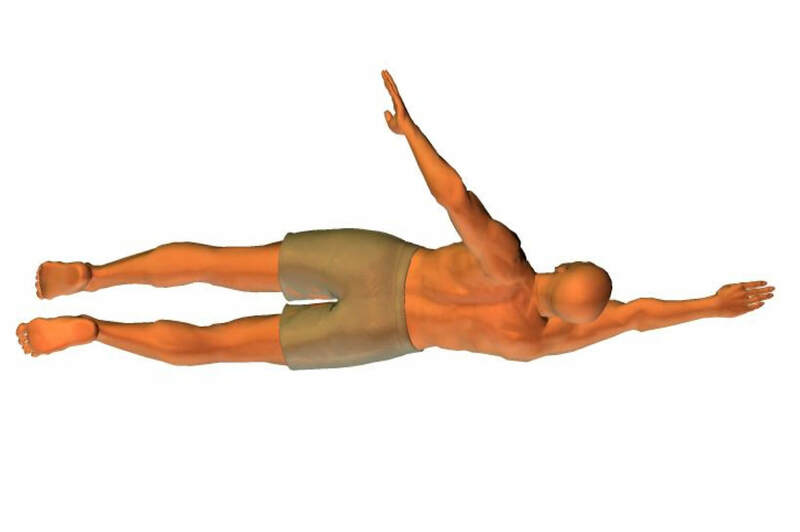 Click here for more front crawl exercises. All of these documents are PDF format and are compatible with all tablet and mobile devices. Some computers may need PDF reading software such as Adobe Acrobat.